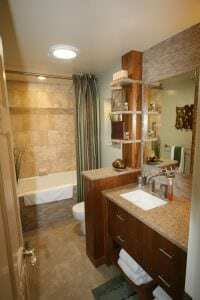 Bath vanities are one of the busiest cabinets in your home. Vanities can be designed to make a statement or vanities can add functional storage, organization, and style to your bathroom. 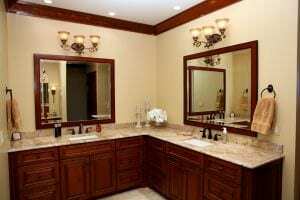 McDaniels staff is trained to help you find the best solution for each vanity in your home. Vanities can always be customized to match your storage and organizational needs. McDaniels staff will design the best solution for you. McDaniels stocks standard residential vanities in 11 different size/style combinations. 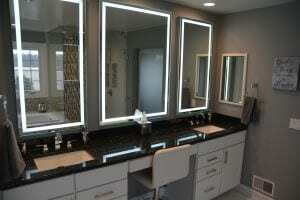 If you need a vanity that is between 24 and 60 inches long we will have one in stock. Furniture vanities are also readily available and can be seen in our showroom. 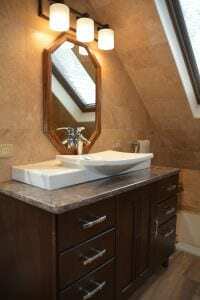 Take a look at www.hardwareresources.com for a complete view of the furniture vanities we have available with a 2 to 3 day lead time.